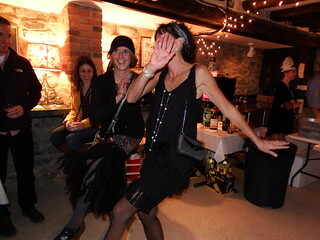 Just one week ago, PHW put together a speakeasy-themed Memberfest celebration. The event was a huge success, with over 70 guests in attendance at various points in the evening. Thank you to our hosts at Below the Fringe for the perfect speakeasy location, The Bob Larson Trio for the evening of jazz, and the crew from the Winchester Little Theatre who helped with check ins and performed the readings. If you missed the fun, enjoy a few images of the event on Flickr. 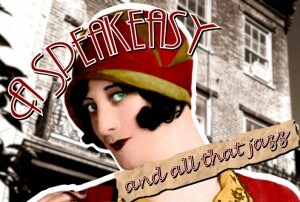 The Speakeasy Is Tonight! Here’s What You Need to Know. Place: 137 South Loudoun Street. Look for the fence with the PHW banner. The speakeasy will be held in the basement of this building. Parking: The Palace and Hable lots off Indian Alley and the Cork Street lot at the corner of Cork and Loudoun Streets are the closest public parking lots to the event venue. These lots are FREE to park in after 6 PM. Map of downtown parking lots. Admission: There will be an outdoor admission table with staff for check ins. If your PHW membership dues are current, you need only give your name (or your business name, if you are a small business/corporate member) to be checked in. You may pay your dues on PayPal prior to coming to the event. Bring your receipt from PayPal as proof of purchase for any renewals made today. We will NOT have access to PayPal to verify your purchase at the event venue. We will be accepting cash or checks only at the door tonight. Exact change is preferred! Event Capacity: There is room for approximately 50 attendees inside the event. Please feel free to leave the event for a time and have dinner or walk around the downtown. Entertainment: The Bob Larson Trio will play between 7-10 PM. The stories of Winchester’s time as a dry town will be read in two sections, one at 8 PM and one at 9 PM. Silent Auction Items: In addition to the three prints (framed Ruth’s Tea Room, 1968 by Jane Caspar, framed George Washington’s Office by Eugene B. Smith, and Winchester Celebrates signed artist proof by Don Black), there will also be four gift baskets, with 1920s themed goodies and snacks, custom items with our attractive flapper poster girl from the event advertising, a Winchester: Limestone, Sycamores & Architecture book, Holiday House Tour Preview Party tickets, and more! You need not be present at the end of the evening for your high bid to win. Please note: The PHW office will be closing around 4 PM on Friday to begin the event setup. We will not be available to answer emails or phone calls after this time. 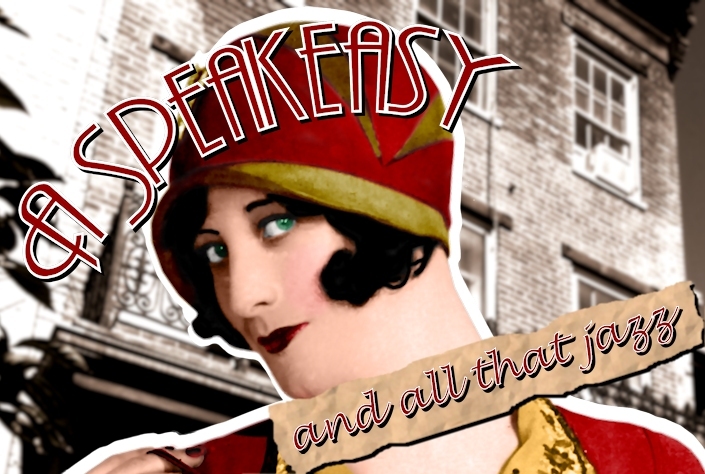 Posted on October 23, 2015 October 21, 2015 Categories Fundraiser, MemberfestTags Fundraiser, Memberfest2 Comments on The Speakeasy Is Tonight! Here’s What You Need to Know. PHW is pleased to bring you a preview of some of the items which will be available at the silent auction on October 23 as part of PHW’s Memberfest. As well as several themed gift baskets for 1920s Christmas gifts and architectural goodies from PHW. Please note we had reported incorrectly last week the items at Memberfest would be raffled; all items will be sold at silent auction. There are no tickets being sold to this event. RSVPs to the PHW office, 540-667-3577 or phwi@verizon.net, are appreciated but not required. Current PHW member names will be on a guest list at the entrance – your name is your password. For new or renewing members, there is a membership information card to fill out so that you can be added to our membership roster (includes a receipt which doubles as your PHW membership card). We also strongly recommend exact cash or checks (made out to PHW) for your payment methods. For this reason, we strongly suggest you renew or join PHW prior to the night of Memberfest to help you enter the event as quickly as possible. Join now via PayPal, or click here for a copy of our membership form to mail in with a check. The Bob Larson Trio will play 1920s and 1930s jazz from 7-10 PM. 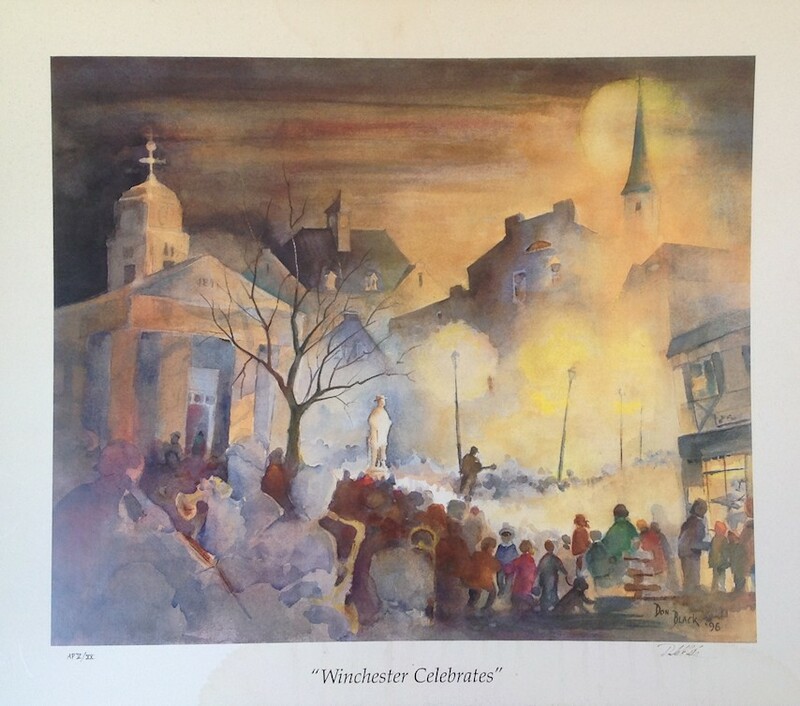 During the intermissions, volunteers from Winchester Little Theatre will share stories from Winchester’s time as a “dry” town. A tips jar for Winchester Little Theatre to benefit their Restoration Campaign will be available as a thank you to their support of PHW at this event. We are happy to report that, similar to the Memberfest held at EBS Gallery, we will have several gift baskets and other interesting items up for silent auction. The silent auction proceeds will benefit PHW. 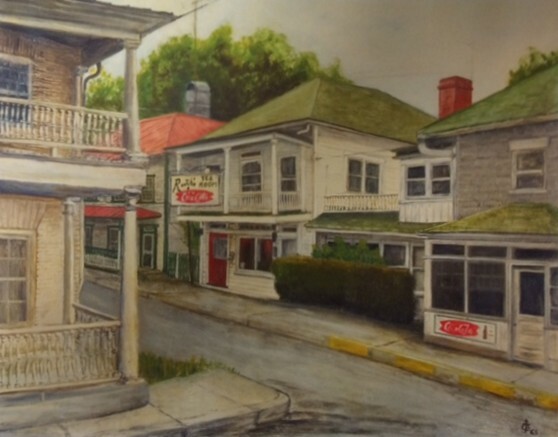 The prints are part of a fundraiser to support Vivienne Jackson’s ongoing living expenses. 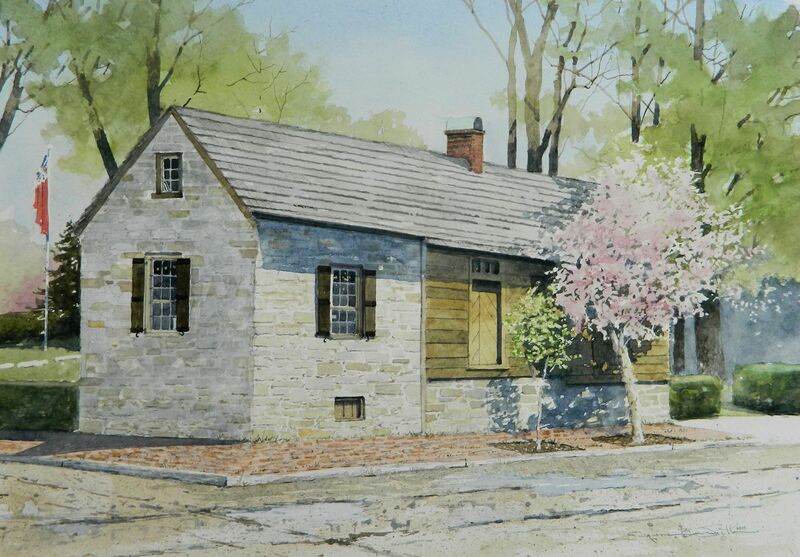 If you are not lucky enough to win the framed print at Memberfest, prints are available at Jim Riley’s office, 121 S. Loudoun St. If you wish to pay more for the print, all the extra goes to Vivienne. Please feel free to contact PHW at 540-667-3577 if you have questions not covered here. PHW’s Memberfest 2015 Is a Secret . . .
Join us on Friday, October 23, 2015 for an evening of 1920-30s jazz by the Bob Larson Trio, finger foods, wine and homebrew beers at PHW’s 2015 Memberfest at Below the Fringe, 137 South Loudoun Street. The first 50 guests through the door will receive a souvenir mason jar for your drinks during the event. Tales of Winchester’s time as a “dry” town will be told during the musical intermissions. Even better, the event is FREE for our current PHW members as a thank you for your continued support! If you prefer to mail a check, click here for a copy of our membership application form to return with your dues. One time credit card payments can be made in person at the PHW office or by using the PayPal Donation option. We have been very remiss in not sharing the good news from this year’s fall membership signup contest, which ended on December 6. We received approximately 50 memberships during the contest period, and one clear leader emerged this year: Thomas and Deanna Stouffer. 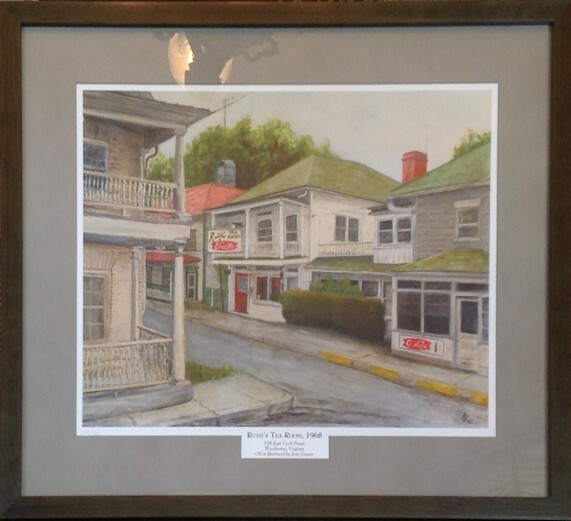 Congratulations, and please enjoy your $200 gift certificate to Eugene Smith’s Gallery! Ad space is still available in the program booklet (prices range from $75 to $250) and a Major Sponsor slot at $1000. The deadline to get an ad in the booklet is October 31; email us at phwi@verizon.net if you have questions or want to place an ad. Volunteers are always needed. If you are willing to be a docent on December 7 and 8, or if you want to be added to PHW’s list of volunteer decorators to work in the houses before the event, please send your contact info to phwi@verizon.net with your job preferences. Results Are In from Memberfest! Winners can expect a voucher in the mail soon so you can claim your prizes during Holiday House Tour. The fourth event, the Membership Signup Contest, is open now until December 6. Refer at least four friends to join PHW for a chance to win a $200 gift certificate to EBS Gallery. Join Preservation of Historic Winchester in Old Town Winchester during the October First Friday celebrations. Meet and greet other PHW members. Information on PHW membership and upcoming activities will be available. Tour the Feltner Museum, enjoy light refreshments, and even try your hand at a Winchester trivia game to win some prizes. Bring a friend and introduce them to PHW, too! For more information, contact PHW at phwi@verizon.net or (540) 667-3577. For everyone working on the membership signup contest, we are down to the wire with just one week to go. If you’re holding onto any memberships, they need to be turned in to the PHW Office Friday, December 7 by 5 PM. Entries will be tallied and announced on Monday, December 10. 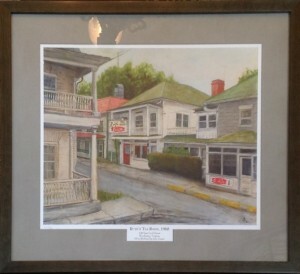 The current leader has 16 entries, so make sure you work hard to match or beat that number to be in the running for the framed Beyer print or the $300 store credit to Eugene B. Smith’s Gallery!